Welcome to the DDNet Awards of 2017! We have 16 categories this year, representing the full gamut of creativity and artistry that games represent. 2017 has been an incredible year for videogames, and is without a doubt one of the best years for games ever, and that has made this year's award particularly difficult to decide on. As always, our voting period for the "year" runs from late November the year before through to late November this year. So if you see a game released in December last year in the awards winners, that's why. Every year, game narratives become more refined, deeper, and more meaningful. It's not enough just to tell a good story now. 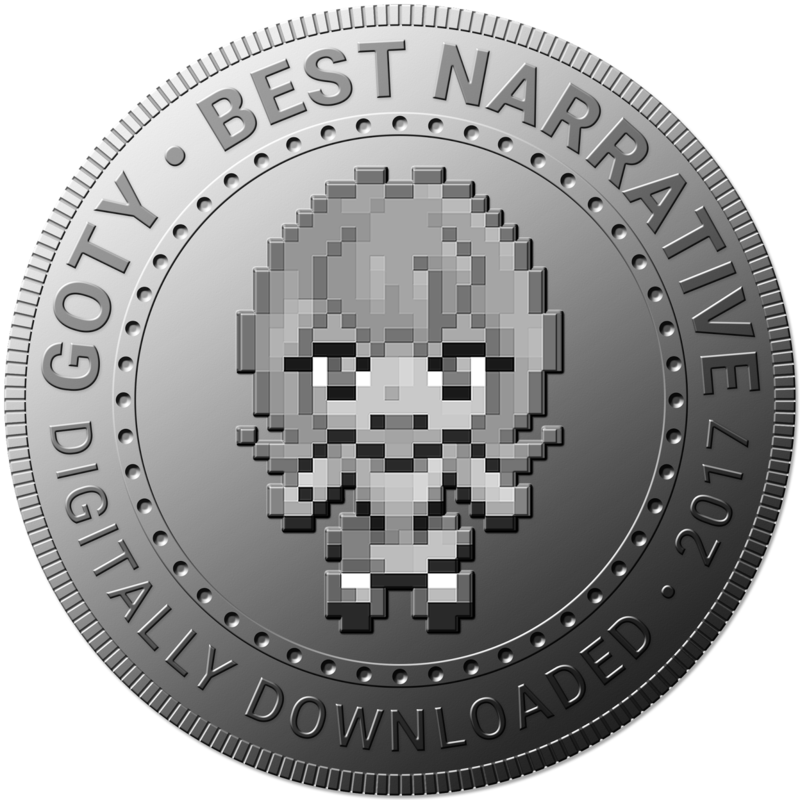 A good game narrative also needs to have purpose, explore themes and ideas beyond the boundaries of the game itself, and generally become part of the same artistic storytelling tradition as literature and film are. This year we were indeed spoiled for choice in terms of great narratives. The Persona games have always been smart, looking into themes as varied as the ID through to nihilism and existentialism. 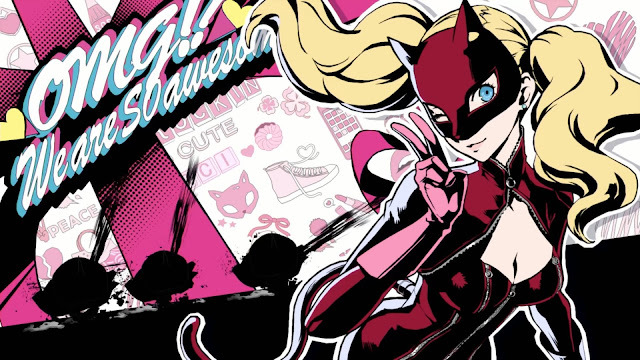 Persona 5, as the biggest and most complex game in the series to date, could certainly be criticised for being bloated - you're looking at a minimum of 100 hours to play this game - but what it can't be accused of is being vapid or stupid. This is a game that is constantly challenging players to think, and it does so with good humour and personality, too, providing us with characters that we genuinely care about, and an intriguing and entertaining plot that keeps us gripped from start to finish. 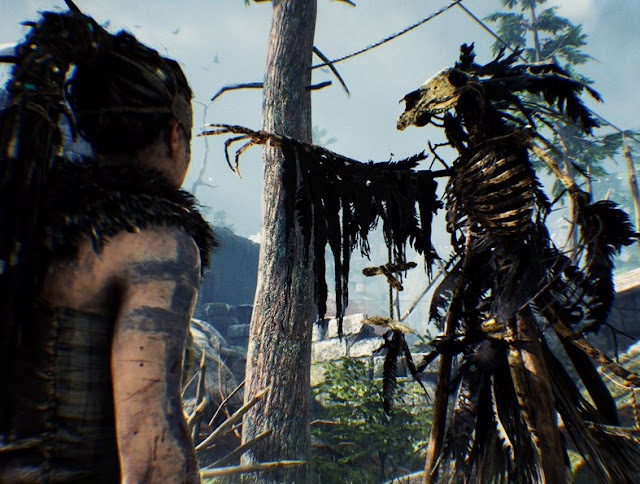 Ninja Theory's Hellblade is proof that games can tackle delicate, serious topics with genuine sensitivity, while telling a cracking story in the process. 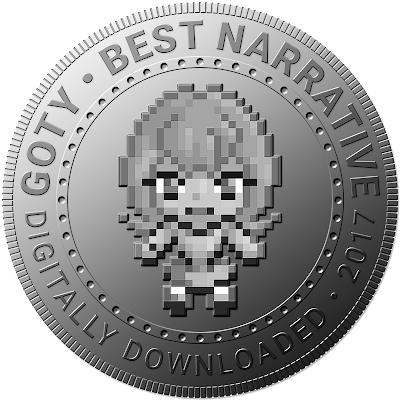 This is a game about mental illness, but it's one that fundamentally respects the individual with the illness and tells a sympathetic story about her that never falls into cliche, nor makes her condition a pejorative. And, as a result, this is also the best "descent into hell" story that we've ever seen in a game, with all the vivid imagery and literature value that comes with that. NeiR: Automata is a masterpiece of storytelling. On the one level, it simply tells a cracking story about a war between androids and robots for humanity's future. But that's just one level. There are debates around spirituality in there. There's existentialist musing. There's a not-so-subtle jab (a loving tease, if you will) to Jean Paul Sartre in there. You can take a feminist position on the game, or a Marxist one. It's a story that participates in the discussion around AI and just how far we should go in enabling that, too. 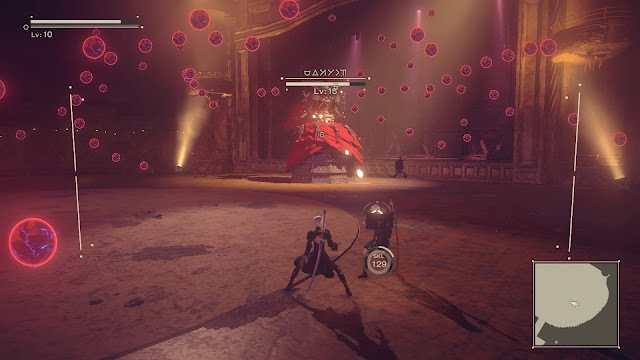 No matter what background you have, or your academic interests, you can pick apart NieR: Automata and its layers for weeks, while at the same time having a great time with the game's sense of humour and appreciation for the weird. It is truly the perfect example of something entertaining, but genuinely deep.